Contrary to extensive empirical tests of Agnew’s (Criminology, 30, 47–87, 1992) general strain theory (GST), little research has been applied to explaining organizational behaviors. 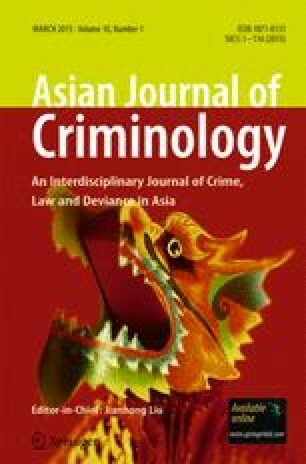 Employing data from South Korean police officers, this study examined the relationship between police officers’ occupational strain and their turnover intention. More specifically, the current study investigated the mediating effects of negative emotions on the relationship between occupational strain and intention to resign, as well as the buffering effects of social support on the pathways linking strain, negative emotions, and turnover intention. Overall, the findings indicated that GST’s core propositions can be applied to a police occupational setting. Two of the three types of negative emotions had significant mediating effects on the linkage between strain and turnover intention as a non-deviant coping behavior. Furthermore, the results also provided partial support for the moderating role of social support, as GST posited. Theoretical and policy implication are also discussed. (1) Have you ever wounded in the line of duty? (1 = yes, and 0 = no).